this holiday season, Amazon will make a donation to CAMS! 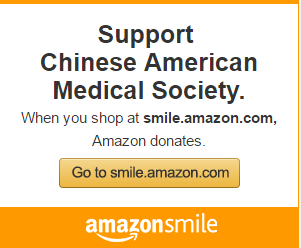 Please select Chinese American Medical Society as your charity of choice. We thank you for your continual support! Thank you to everyone who came out to the 2018 CAMS & CAIPA Red Lantern Gala. We appreciate your generous support of our organizations and we are truly grateful for the growing support of CAMS. Your continued commitment is essential to our organization's ability to grow and have a true impact on the health status of the Chinese American community. Our members and supporters are essential in helping us achieve our goals and fulfill our mission.